What lies over the Old Rattlechain brickworks? | What Lies Beneath Rattlechain Lagoon? What Lies Beneath Rattlechain Lagoon? | What lies over the Old Rattlechain brickworks? 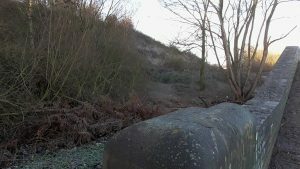 What lies over the Old Rattlechain brickworks? 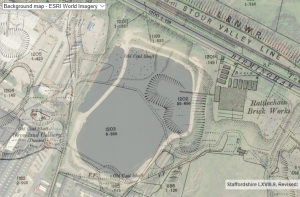 I’ve detailed several images as well as recollections and stories concerning the former Rattlechain Brickworks already- that canalside enterprise which left us with a disused pit that unfortunately became filled with a chemical manufacturers toxic poison waste. 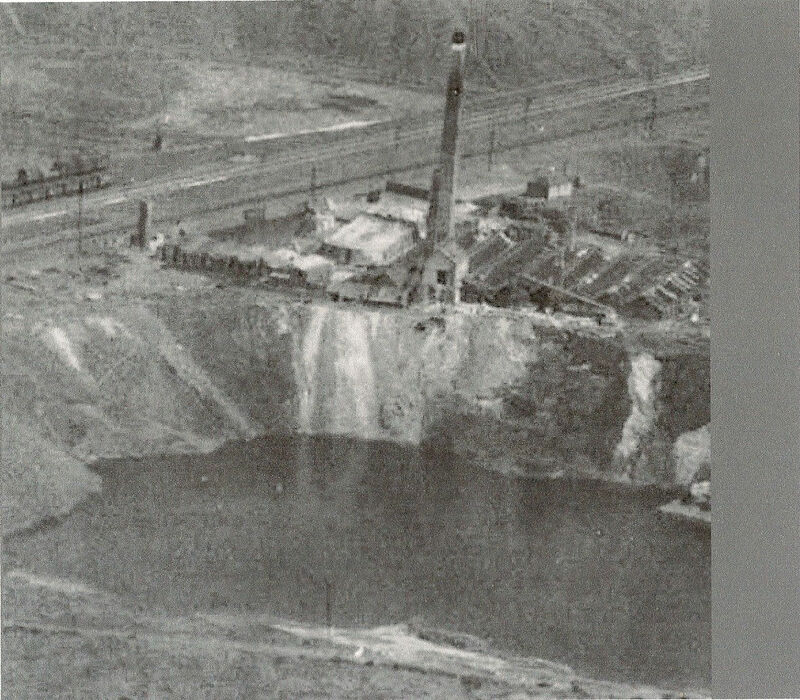 Rattlechain brickworks and former pit circa 1950; by now Albright and Wilson were tipping their poisonous waste into here- note the white stained banks. A tool from the excellent National Library of Scotland allows composite present day images to be superceeded onto old maps, showing the footprints of where buildings and other structures once existed. It appears to be remarkably accurate. Shown below are several images which demonstrate where the brickworks buildings once existed in 1904, now replaced by an abandoned and over tipped mound of foundry sand that has greened over. At this point in time, the ground around John’s Lane was also at Water level. 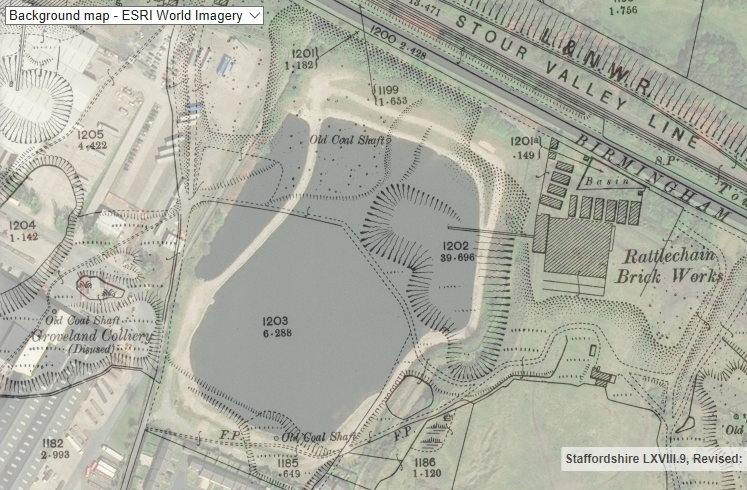 The adjacent pool on the left of Rattlechain was the Vono waste dumping lagoon which has now been concreted over to form The Autobase trading estate. 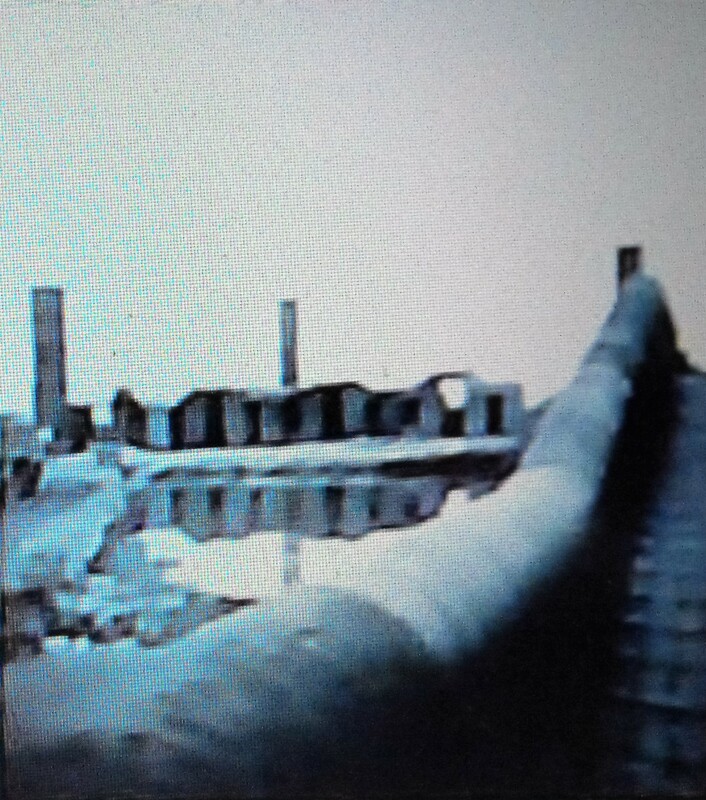 Also shown is the former Groveland Colliery which together with the pit from Samuel Barnett’s other works “The Stour Valley New Brickworks” formed this figure of eight pool. I will be writing more about this in an upcoming blog post. At this point in time, the area was still a part of Staffordshire. 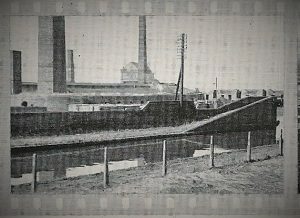 It can be clearly seen how the tramway entered the pit from the works, as well as where former pit shafts were located on the North embankment and towards the South of the site and the former sewage works where Callaghan Drive now forms a border . Several footpaths cross the site. The most striking picture shows an elevated overview of the site. Though these buildings and what went on there are now lost to history, the name “rattlechain” given to the type of chain and the noise it made used in the brickmaking process lives on. Barnett’s brickworks From Conurbation 1948 Crown copyright, as seen from The Birmingham canal. 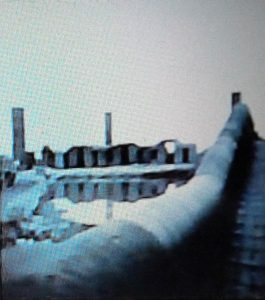 The two images below show the brickworks and basin the early 1960’s at its demise, with the rattlechain bridge over the basin being the constant witness. The brickworks replaced by shoddy over tipped mounds of foundry sand , with the basin infilled.